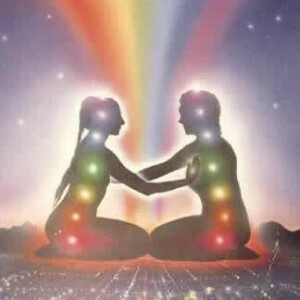 Understanding distance healing and how it works on the subatomic level requires a little knowledge of metaphysics and how energy works in the universe. Science has proven that everything is energy this includes our thoughts and emotions, Through intent and raising our vibration with specific body awareness and breathing techniques we can affect matter anywhere in the world. We just need to know what the issue is, who is having the issue and where it is and with whom. We can send distance healing to people, places and events, past present and future. There is only one moment of now in the quantum world. When we do something with love, it is done with a high vibration, the deeper the love, the higher the vibration. Our love, our vibration affects matter. In understanding distant healing, it’s important to note all 3 levels or aspects need to be worked on mental, emotional and physical. It is also important to understand that each of these 3 aspects are connected and they all deal with energy. The receiver needs to be open enough and willing enough to do the work and make the necessary changes no matter which level or levels the issue lies. Sometimes we are able to alleviate an issue physically but we haven’t yet done the underlying work to support us mentally or emotionally then there’s a good chance the issue will return or find another outlet that will let us know we still have more work to do. We need to dig deeper to find the thought pattern, habit or belief that creates the physical manifestation. The same goes, if we’re not getting the results we want, there is an area that we may not be looking at or focusing on. Maybe we are not getting optimal sleep or nutrition. Maybe we haven’t found the best feeling or mental state to manifest our desire. When working with our self and our own healing it can be a good idea to ask ourselves where does this issue stem from? Then wait to see if an answer pops into our mind. Is it an emotional issue? Is this an environmental issue? Is this a physical issue? When working with others the sender, healer or as I like to call all energetic helpers, the meta-physician uses the same faculties of mental, emotional and physical to facilitation and complete the healing. We see in our minds eye and imagination the issue resolved (mental). We feel the feelings, of gratitude, peace, Joy and relief that the issue is resolved (emotional) and we do body awareness and breathing techniques to raise our vibration and we speak the word that the issue is resolved (physical) “And so it is” Another aspect of the physical is what we can do to support the body in healing? Perhaps there is something in our lifestyle or environment we need to change. Most physical changes are first conceived of in the mind and propelled into reality by our emotion and followed through with action. This entry was posted in Healing Designs and tagged Distance Healing, Energy Healing, Quantum Touch on February 4, 2018 by Cherie.